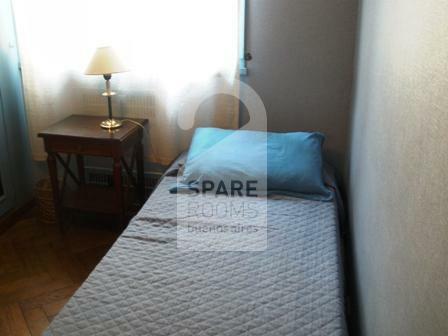 Comfortable room with a single bed, a reading light, a wardrobe and a window. 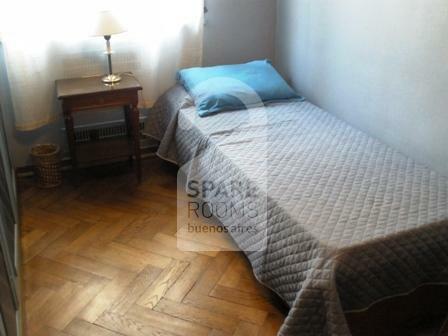 Cozy apartment and centric location. 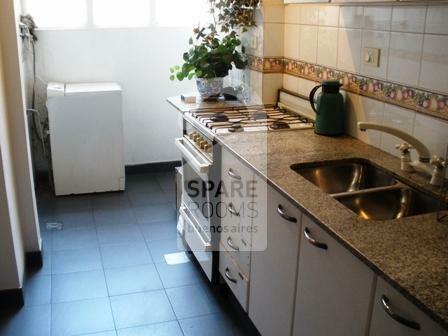 This apartment is just one block from Santa Fe Avenue and Callao Avenue, a commercial area, very near down town and many means of transport. 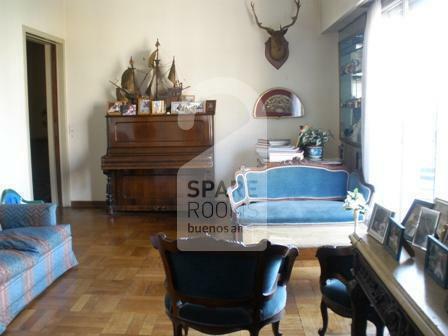 In the sunny living room there is a double sofa, some personal couches, a coffee table, a piano, a TV and CD player. The modern kitchen is fully equipped with everything you need for your stay. It has a fridge, freezer, oven, kettle and a set of kitchenware. 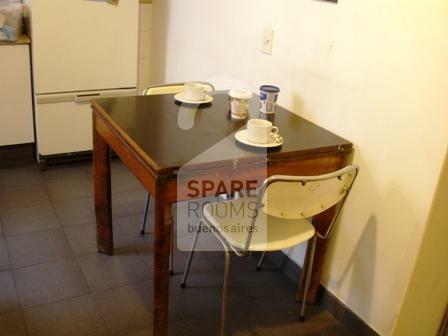 Recoleta is the most exquisite, charming and safest quarter of Buenos Aires. 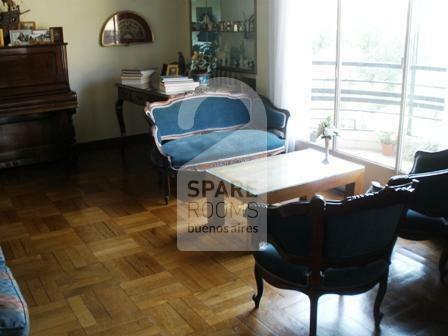 Recoleta is one of the most residential, elegant areas in Buenos Aires. It is characterized by its French style, large green spaces, exclusive avenues, and first-class bars and restaurants. During weekends you can see a big contrast in this neighborhood because Plaza Francia is taken by a popular handicrafts fair which attracts tourists, students and neo hippies. Comment of your host: Un buen Depto,muy completo y bien ubicado. Alicia es una gran persona. es espectacular,me senti como en casa, me encanto. Comment of your host: me pareció espectacular, todo era perfecto, alicia es una excelente anfitriona, hizo que me sintiera como en casa y eso me gusta mucho es muy acogedora, todo estaba en perfecto orden todo limpio y organizado. 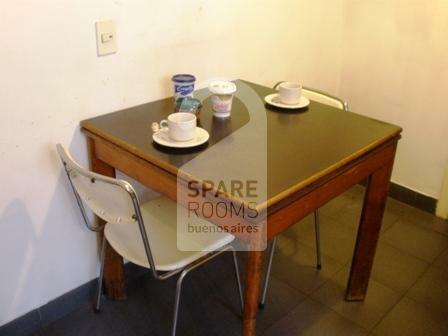 De parte de todo el equipo de Spare Rooms Buenos Aires, queremos agradecerte por habernos elegido para tu estadía y por haber compartido tu experiencia en al casa de Alicia con nosotros. In her own words: my name is Alicia, I’m 62 years old. I love being with my family, I am a happy person. I have 4 sons and 6 grandchildren. I like outdoor activities. I work as a secretary and I really enjoy welcoming guests at home.. Buses: 12, 39, 152, 59, 60.